Hot chocolate and marshmallows, Romy and Michelle, chips and ketchup; each one complements and enhances the other. The same applies to brands; an effective brand partnership can bring a fresh dimension to your experiential campaign and take it to another level. Airbnb added many brick-shaped levels to their ‘Night At’ competition series when the company partnered with LEGO to give fans the chance to spend a night in a real-life LEGO House. The newly opened house, based at the Billund, Denmark – home to the original Legoland theme park and LEGO HQ – is made out of 25 million bricks. The once-in-a-lifetime prize allows the winner and their family to have the whole house to themselves for the night. 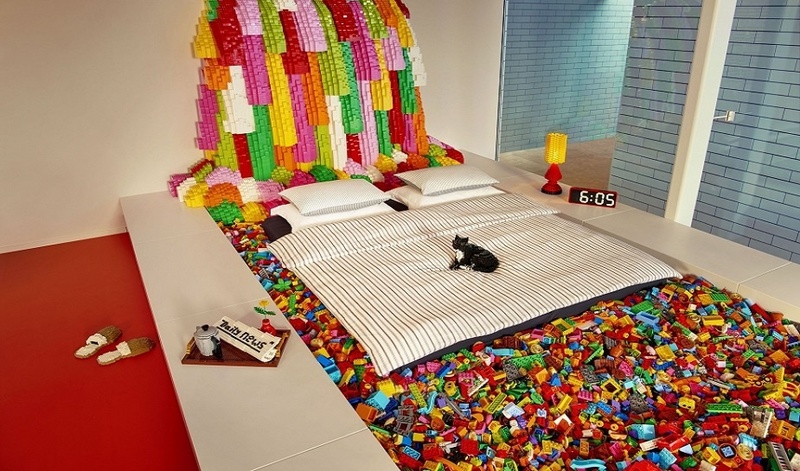 They can sleep in a LEGO bed under a giant LEGO waterfall, stroke the LEGO cat and in the morning enjoy a clever LEGO brick-fast. 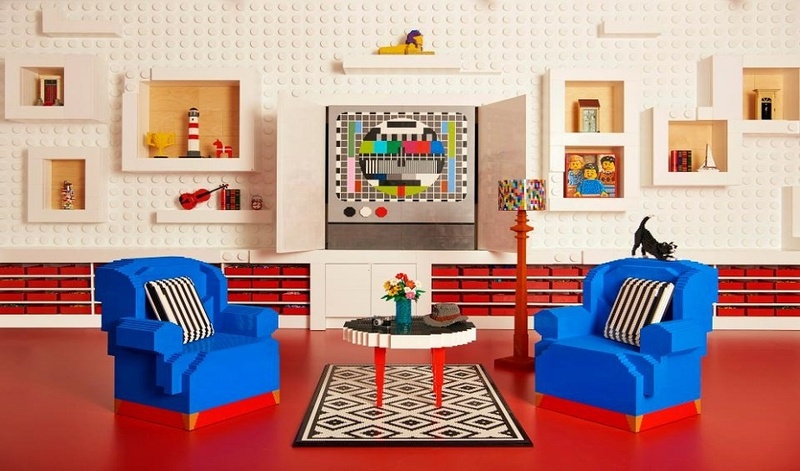 No detail has been left out – the house has lamps, coffee tables, family portraits, alarm clock – everything you would expect to find in a family home, all made from LEGO. On arriving at the house, the winner will be welcomed by master builder and house host Jamie who will give them the tour and teach them some top-secret LEGO tips and tricks. The house also has Experience Zones, that allows the winner to direct their own LEGO movie, engineer robotic cars, design cities, and be thoroughly creative. To win the unique prize, entrants are required to put their imagination to the test and describe one thing they would build together with their family if they had an infinite supply of LEGO bricks via a dedicated Airbnb microsite. Adding even further creativity to the competition, Airbnb has created a mock listing for the LEGO House – to replicate its usual accommodation listings. It even made a list of house rules from ‘don’t dive in the LEGO pool’ to ‘If there’s anything you miss in your bedroom, feel free to build it yourself’. The competition is part of Air BnB’s ‘Night At’ series, where the company allows customers to enter competitions for a chance to win a one-night stay at a unique location. 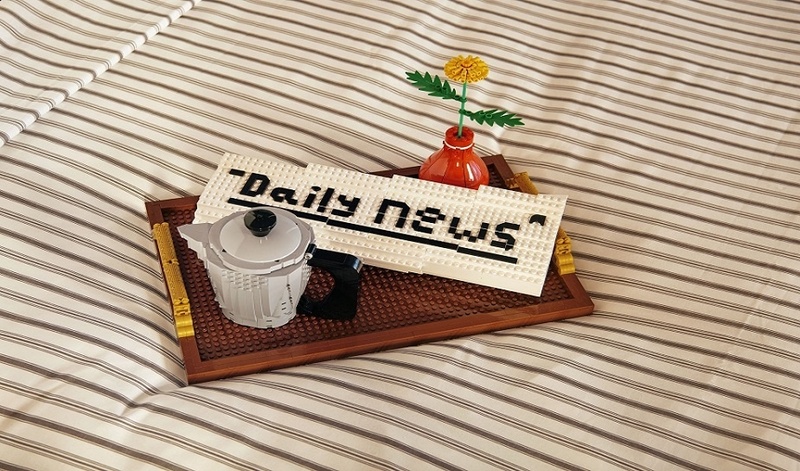 Each brand benefits in this partnership: for LEGO it showcases the creativity, nostalgia and fun that comes from playing with LEGO, and for Air BnB it portrays the holiday site as the online destination for unique and inspired accommodation options. This isn’t the first time Air BnB has partnered with a like-minded brand to create an unforgettable experience, from this impactful showroom experience with IKEA to creating an airplane apartment with KLM, Air BnB has a proven track record of successful brand partnerships.